Withings Aura, a connected system that monitors the quality of your sleep. With multiple sensors, diffuse light and sound and helps you improve the quality of your nights. Withings enhances and reinvents its therapy with Aura system, introduced this week at CES in Las Vegas. It is composed of several elements, including a multicolored LED intelligent lights that broadcasts different lamp. According to the company, it establishes "a correlation between wavelengths of light and melatonin, the hormone responsible for the sleep cycle." In addition, sound program replicates the frequency of heart rate to help you fall asleep and wake up. 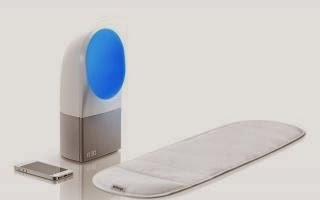 Besides the lamp, Aura also contains a sensor mat that is placed under the mattress. It measures heart rate, respiration and movements of the user. Information is communicated to the lamp, which will when it is most appropriate to wake up, for example. The wake cycle is launched, taking into account the wishes of the user. Of course, you can view all the data via the mobile application that works in conjunction with Aura to "understand" sleep. 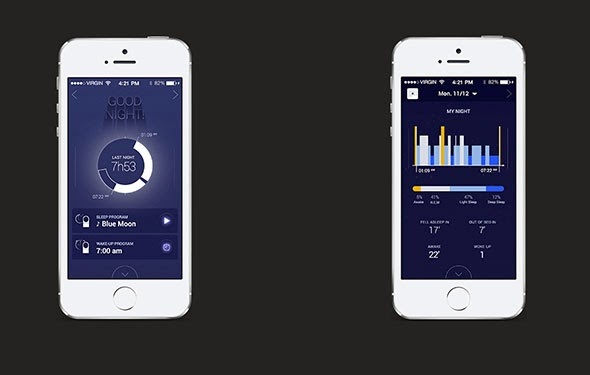 Over the days, Withings therefore considers to help you get more restful nights. Will be available later next spring for 299 dollars.